According to the Times story, Davis briefed four members of Congress and a dozen staff members and sent his reports to the Defense Department’s inspector general, and of course spoke to a New York Times reporter; only after all that did he inform his chain of command what he’d been up to. Evidently Davis’s truth-telling campaign has rattled the Pentagon brass, prompting unnamed officials to retaliate by threatening a bogus investigation for “possible security violations,” according to NBC News. Although Davis’s critics have tried to brush off his claims as merely the opinions of a “reservist,” – as Max Boot put it – his report is full of insight, analysis, and hard data that back up each one of his claims. He details the gross failure of training the Afghan Army, the military’s blurring of the lines between public affairs and “information operations” (meaning, essentially, propaganda), and the Pentagon’s manipulation of the U.S. media. (He expertly contrasts senior military officials public statements with the actual reality on the ground.) Davis concludes: “It is my recommendation that the United States Congress – the House and Senate Armed Services Committees in particular – should conduct a bi-partisan investigation into the various charges of deception or dishonesty in this report and hold broad hearings as well,” he writes. “These hearings need to include the very senior generals and former generals whom I refer to in this report so they can be given every chance to publicly give their version of events.” In other words, put the generals under oath, and then see what story they tell. Michael Hastings is a contributing editor to Rolling Stone and author of The Operators: The Wild and Terrifying Inside Story of America’s War in Afghanistan. WASHINGTON — On his second yearlong deployment toAfghanistan, Lt. Col. Daniel L. Davis traveled 9,000 miles, patrolled with American troops in eight provinces and returned in October of last year with a fervent conviction that the war was going disastrously and that senior military leaders had not leveled with the American public. Lt. Col. Daniel L. Davis last month after sharing his view on the Afghan war with some members of Congress. “You can’t spin the fact that more men are getting blown up every year,” he said. Since enlisting in the Army in 1985, he said, he had repeatedly seen top commanders falsely dress up a dismal situation. But this time, he would not let it rest. So he consulted with his pastor at McLean Bible Church in Virginia, where he sings in the choir. He watched his favorite movie, “Mr. Smith Goes to Washington,” one more time, drawing inspiration fromJimmy Stewart’s role as the extraordinary ordinary manwho takes on a corrupt establishment. Colonel Davis says his experience has caused him to doubt reports of progress in the war from numerous military leaders, including David H. Petraeus, who commanded the troops in Afghanistan before becoming the director of theCentral Intelligence Agency in June. After the Sept. 11 attacks, he returned to active duty, serving a tour in Iraq as well as the two in Afghanistan and spending 15 months working onFuture Combat Systems, an ambitious Army program to produce high-tech vehicles linked to drones and sensors. On that program, too, he said, commanders kept promising success despite ample evidence of trouble. The program was shut down in 2009 after an investment of billions of dollars. For those of you who do not know already, there has been much recent discussion in the military community in regards to a column written by Lt. Col. Daniel Davis in the Armed Forces Journal entitled “Truth, lies and Afghanistan.” But who is the man behind the words? Let’s look. “What I saw bore no resemblance to rosy official statements by U.S. military leaders about conditions on the ground. “When a Taliban member is arrested, he is soon released with no action taken against him. So when the Taliban returns [when the Americans leave after 2014], so too go the jobs, especially for everyone like me who has worked with the coalition. Davis went on to lambast the discrepancy between official statements and the truth on the ground. So who is and what’s his background? Davis, who goes by Danny, is from Dallas and the son of a high school football coach. 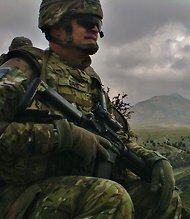 He served two years as an Army private before returning to Texas Tech and completing the Reserve Officer Training Corps program. He served in Germany and fought in the first Iraq war before joining the Reserve and working civilian jobs, including a year as a member of the Senate staff. 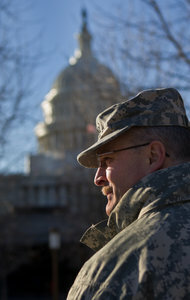 Davis returned to active duty following the September 11 attacks, serving a tour in Iraq as well as the two in Afghanistan and spending 15 months working on Future Combat Systems, an ambitious Army program to produce high-tech vehicles linked to drones and sensors. Since he began speaking out the Pentagon says it disagrees with Colonel Davis’ account, but has not suggested any disciplinary action. Please share the following on Twitter, Facebook etc – you can also add me on twitter and facebook! LEAVE THE INTERNET ALONE – LET PEOPLE IN PAKISTAN DECIDE WHAT THEY CAN OR CANNOT WATCH THEMSELVES! Previous The Arab Womens Place – is beside the men in the Arab Revolt! Next Taliban’s peace options limited?